Has Arthur Fleck ever danced with the devil in the pale moonlight? 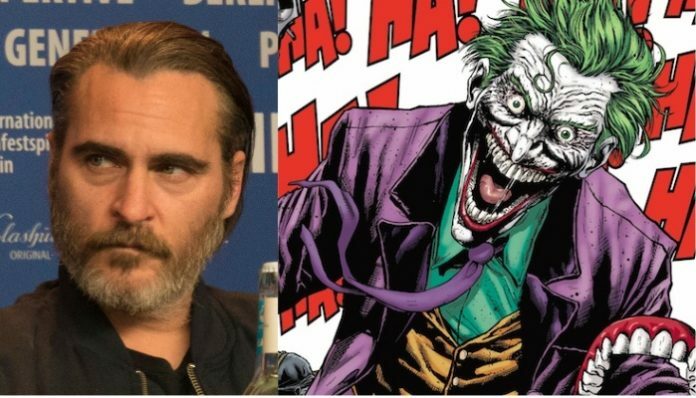 Now that Joaquin Phoenix has assumed the Joker mantle, we’re finally seeing the first fruits of the actor’s transformation into the iconic Batman villain. Below, check out Phoenix’s eerily prosaic everyman image in a new first-look pic. The new movie finds Phoenix following in the Joker footsteps of actors such as Jared Leto, Heath Ledger and Jack Nicholson. The Hangover‘s Todd Phillips is directing, with none other than Martin Scorsese attached as executive producer. And the upcoming DC Comics film is going to show a gritty “exploration of a man disregarded by society [that] is not only a gritty character study, but also a broader cautionary tale,” per a movie premise published by Vulture. Are you interested in seeing what Phoenix does with a true-to-life Joker in the new film? Who’s your favorite Joker actor from all of the Batman films over the years? Sound off down in the comments and let us know your take. Joker hits theaters Oct. 4, 2019.